The Spring Newsletter was printed and mailed before we needed to make a change to the September HWY 62 cleanup date. Please note that the 9:30am Saturday September 7 date and time are correct on the website. Several days of 50 and 60s bring dark spots to Deer Lake Ice. Timed with the end of sugaring. Another sure sign of Spring: getting ready to combat the AIS Crisis! The 2019 Itasca Area Lake Service Provider Summit will be held 11am-1pm Wed Apr 17 at Timberlake Lodge in Grand Rapids. A lake service provider is the business you hire to install/remove your dock/lift seasonally. Please call or send a note to your lake service provider and ask them to attend the Summit. DLA is serving as a sponsor. As you know DLA is supporting, working with, and dependent upon the Itasca County AIS program to perform AIS inspections at the Deer Lake public access. It's helpful to Deer Lake directly and indirectly when we generate candidates for the AIS Inspector positions. If you or anyone you know may be interested in serving as an AIS Inspector this season, please see or forward the attached Flyer. It's a great job for students 18+, for retirees, and anyone in between! It is with regret that we must inform you of the passing of Tom Kleinkauf. 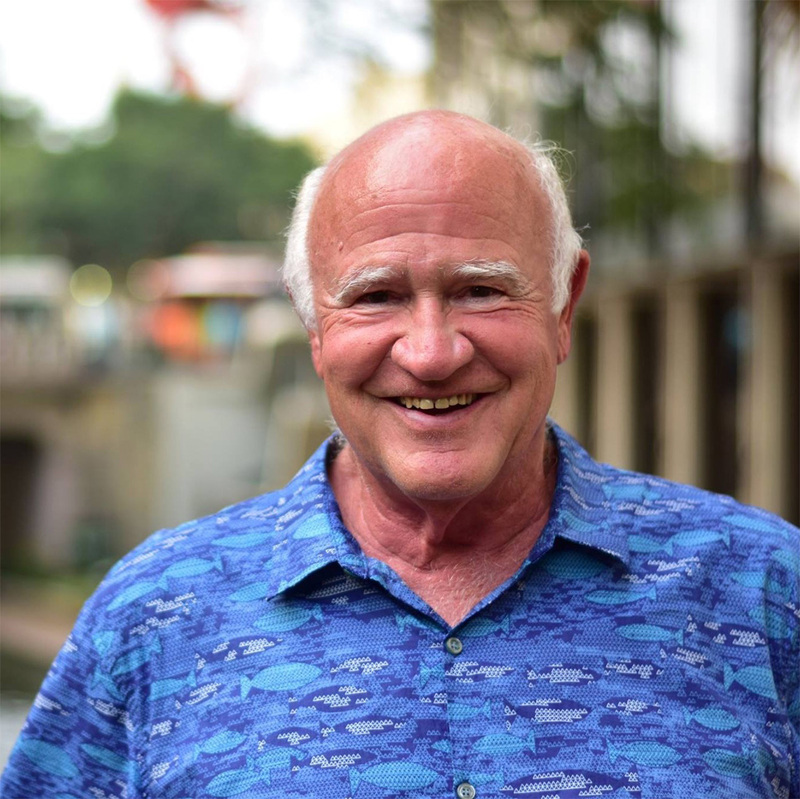 Tom was former DLA Board member, former Neighborhood communicator, and active DLA volunteer. His photos of Deer Lake underwater can be found here. Waiting for ICE-OUT (could be late this year again)! 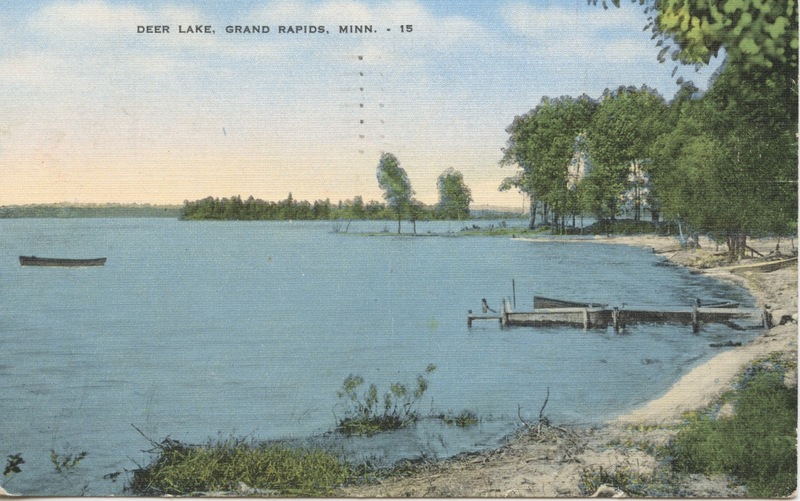 "What's Up with Our Lakes"
And Please consider becoming a LIFETIME MEMBER of the DLA! Aquatic Invasive Species and YOU! 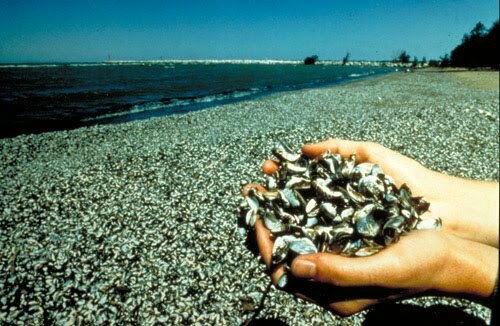 A beach full of invasive mussles makes bare feet impossible! For generations, Deer Lake water quality has served as a foundation for family life and lakeshore property values. All property owners can unite around the goal of improving water quality. DLA is introducing the Beautiful Deer Lake Water Quality Initiative. 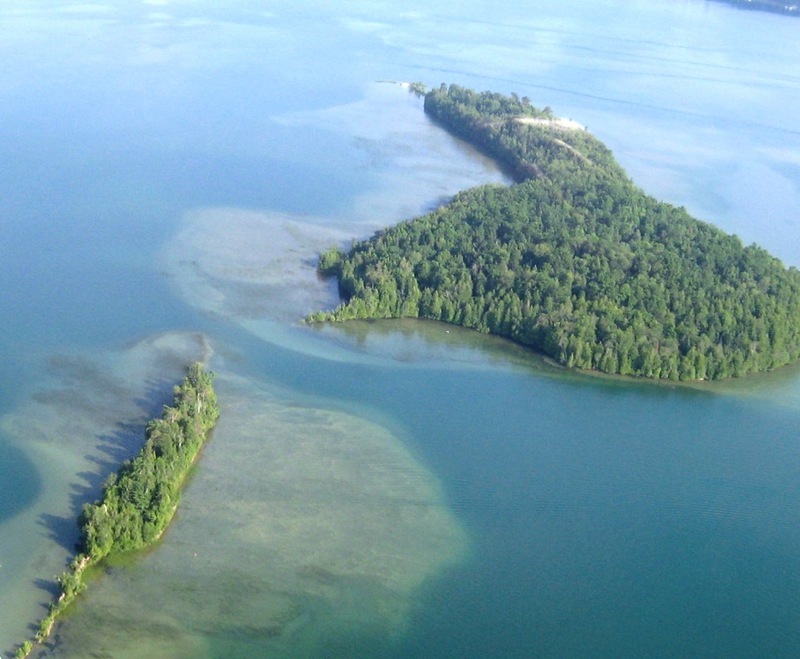 It long-term effort including AIS prevention strategies and initiatives to improve water quality by reducing phosphorus loads dumped into Deer Lake by streams, septic systems, storm-water run-off, and shoreline erosion. DLA is asking Deer Lake property owners to open our hearts to the lake and take action. Please join our effort to improve Deer Lake water quality. Thank you. All this Just a Click Away! Limited-edition vintage-inspired Deer Lake notecards, on linen paper with matching envelopes. (This is a bigger file--please be patient as it could take minutes to download on slow servers). The 1st Edition Handbook is available in hardcopy. The BDL Handbook contains multiple embedded hyperlinks that provide direct access to additional information on the DLA or external web-sites. The best way to view these hyperlinks is to DOWNLOAD a full copy of the Handbook, save it to your desktop, laptop, or mobile device, then open the saved Handbook from your computer or device. When using your smartphone or tablet, you may find it easiest to use the Xodo PDF Viewer app to open the Handbook on your mobile device. You can download the Xodo PDF Viewer app for free from your smartphone or tablet's app store. Please do not use Bear Island wood for camp fires on the Island. Be sure to bring your own firewood! Anybody remember the giant slide at Pinehurst Lodge in the old days? 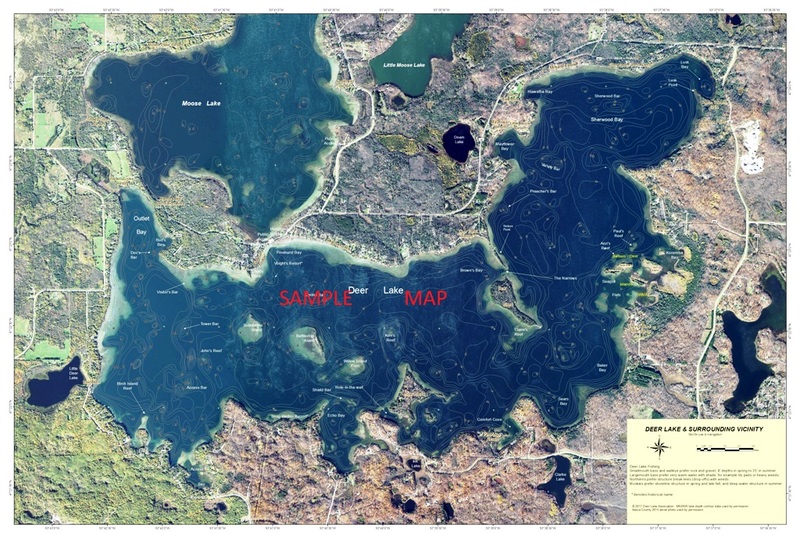 New DLA Deer Lake Map! 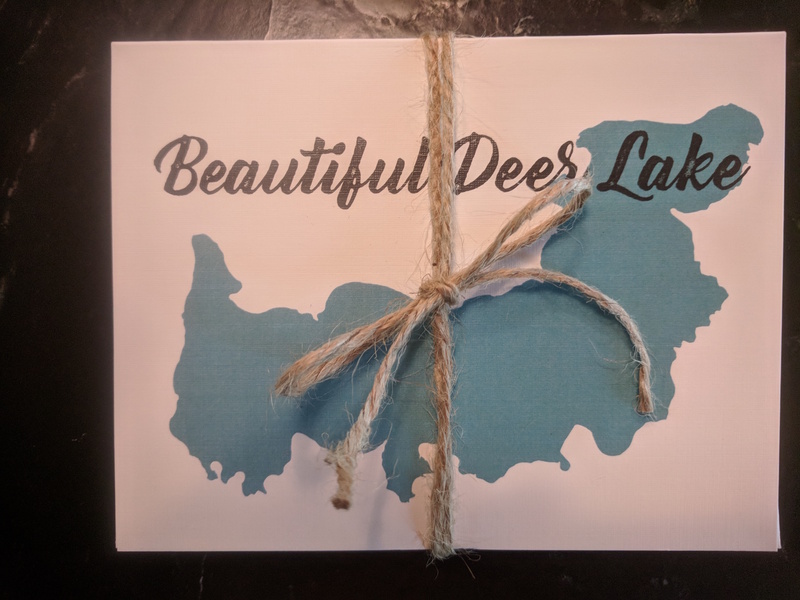 Deer Lake Map available for purchase! Includes names of bays, islands, fishing bars, and current and historical places of interest. Available for purchase from the DLA Boutique. $30 for 16"x24" size on special poly material that can get wet! The 24"x36" and 16"x24" versions come printed on Text Weight paper, rolled up and ready to frame or hang to your wall directly. Print sizes fit standard frames readily available for purchase in local stores or online. The $30 16"x24" version is printed on special water-resistant poly material that you can keep in your boat to identify bays, islands, and fishing spots. (This map is not meant to be used as a navigational aid to avoid underwater obstructions). Our map is neither printed on UV resistant paper nor with UV resistant ink, so if you are concerned about sun-fade please discuss framing options with a local frame shop. The DNR has several live cameras! Interested in the Deer Lake Geocache Challenge? The Geocache Challenge is now ready! Geocaching is a fun scavenger hunt for all ages, which uses a GPS device and some boating skills to find “caches” hidden around the lake. We would plan to develop a series of three to five caches around Deer Lake that would be a fun activity for everyone to learn more about healthy lakeshores. Feel free to contact me, Anna Johnson, if you have any question/concerns, ideas, comments, or are willing to have a cache on or near your lakeshore at annaj@mtu.edu. The Pretty View from the Deer Lake Look-out on Co. Rd. 62 goes all the way across the length of Deer Lake, from north-east to south-west. Deer Lake historical postcards HERE! This GIS map of the county includes parcel information. 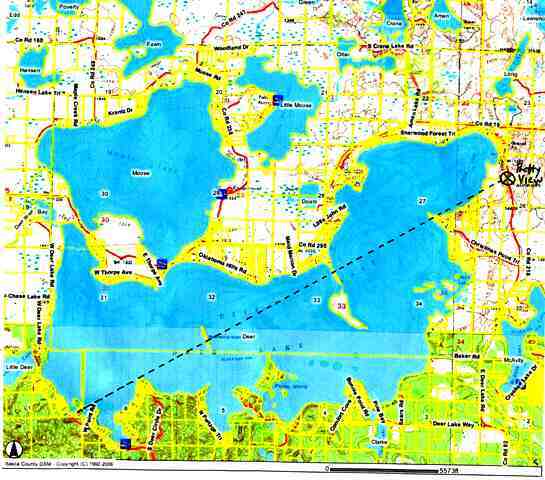 Deer Lake is located in Itasca County about 12 miles north of Grand Rapids and about 8 miles NE of Deer River. The lake covers about 4,097 acres and is roughly 5 miles long and 1.5 miles wide. There are 20.7 miles of shoreline (25.6 if islands are counted). 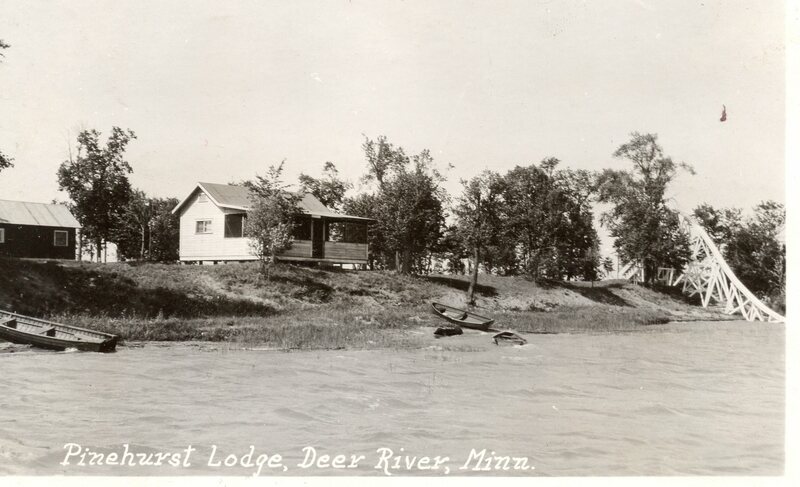 The lake has no inlets and only one outlet into the Deer River. Its water comes from rainfall and many surface and underground springs. Deer Lake is considered "ooligotrophic" indicating very clear water with low nutrient levels. 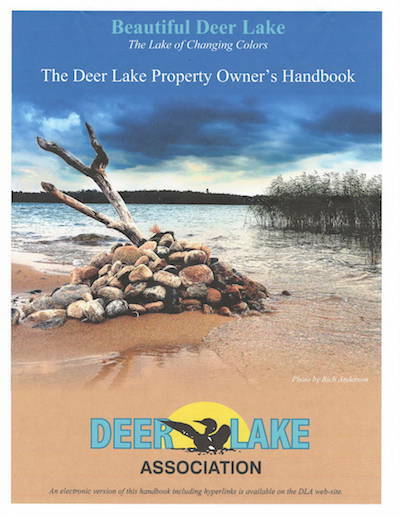 There were 359 private "improved parcels" on Deer Lake (homes or cabins) counted during the 2005 survey, indicating mostly high shoreline development. An additional 141 non-improved parcels were mostly in common ownership with the improved, but recent development since 2005 has seen many more homes and cabins built around the lake. The State of Minnesota owns just 12 parcels, the majority of which are islands. Often called the "Lake of the Changing Colors", Deer Lake's crystal-clear water contains minerals that changes it's water to a brilliant blue-green color on a bright summer day. This color, along with it's many islands and miles of scenic shoreline, make Deer Lake one of northern Minnesota's treasures. Deer Lake's depth ranges up to 121 feet. There are many reefs and rockpiles, some rising suddenly in mid-lake. The lake has 920 acres of "littoral area" (where the depth is less that 15 feet deep). This rocky littoral area is great for fishing, but presents real concerns for the safe boater. Many anglers come to catch trophy muskies, but small-mouth & large-mouth bass, walleyed pike, northern pike and a wide assortment of panfish are also present. Very clear water presents a challenge for daytime fishing.